Stichting Mixer is a foundation focussed on the field of minimal electronic (accoustic) music and soundworks. Founded in december 1999, it's goal is to start and stimulate initiatives which encourage the encounter between sound and other media. With sound as it's backbone, it's especially those initiatives bringing disciplines together, which are interesting. Stichting Mixer creates ground for these blends through festivals, exhibitions and concertnights. 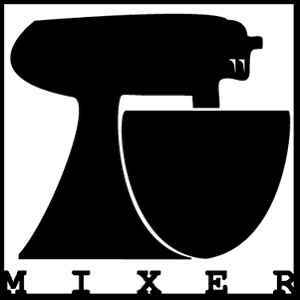 A commitment to smaller experimental and conceptual music is made through the recordlabel "Mixer". This label wants to function as a platform for both known and unknown artists with unexpected and innovative ideas and material. Covering various influences within the field of minimal electronics and electro-accoustics, releases on Mixer will differ a lot from each other, trying to stay far away from obviousness doing so. Releases are limited to a maximum of 500 copies per title. For releases on this label as well as for input through any other medium, stands that these will have to share the characteristics "small, innovative and sincere". m12.01 Zipper Spy Living In A Free World?